"I am a new mom to a eighteen month old little girl who I still currently breastfeed once a day. I have lost most of my baby weight but need to lose more to be at a healthy weight but all I crave is sweets and junk food. What can I do to try to overcome this and what are some good foods to eat that are easy and will help me lose the weight (30lbs)? You are likely stuck in dietary rut or cycle that you need to break out of. 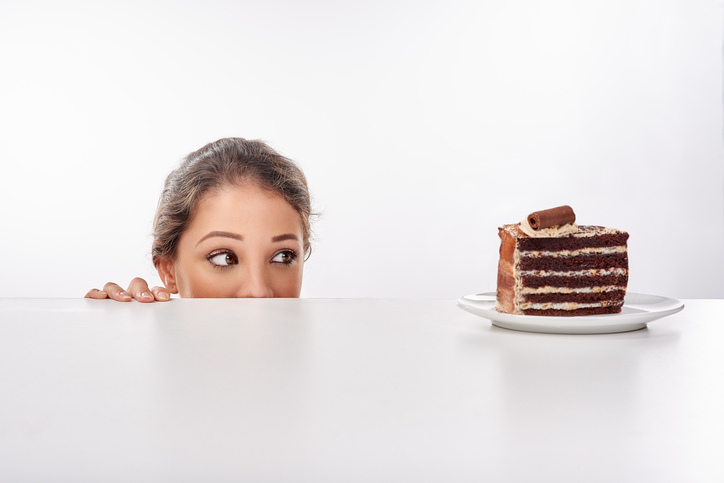 When you are hooked on eating junk foods and sweets, that can “feed” on itself and cause even more cravings! The key here for you is to work hard on eating balanced meals and snacks, which will help keep your blood sugar even. This will prevent the highs and lows and help control cravings. This will also be a tremendous help towards losing weight. This is also important for keeping blood sugars even and energy up. Start with a good breakfast and have smaller, regular meals or snacks every two to three hours. Check out the following fun snack options. They offer a variety of whole grains, dairy products, fruits and vegetables. These foods will also contain a variety of calcium, iron, folic acid and fiber. Regular, moderate exercise can lift your mood and may help ward off cravings. Aim for at least 30 minutes most days of the week. Go for a walk, call a friend, do a crossword puzzle. Most cravings will go away within 20 minutes.